The Board of Regents approves tuition and fees each school year. Rates are usually effective each Fall, but are subject to change according to Board policy. The following links can help you determine what your tuition and fees will be each semester. The decision to take an online course where more than 95% of instruction time occurs via the Internet will affect your tuition rate. These courses have a different tuition rate known as eTuition. This eTuition rate is the same whether you are an in-state or out-of-state student. In addition, there is no maximum tuition cap for fully online courses. However, these courses are still competitively priced with other available online courses. eTuition courses may be covered in part by Hope scholarship and by financial aid to the extent the student is eligible. Other campus fees may also be incurred while conducting business on campus, such as fees for obtaining transcripts, graduation fees or key replacement fees. 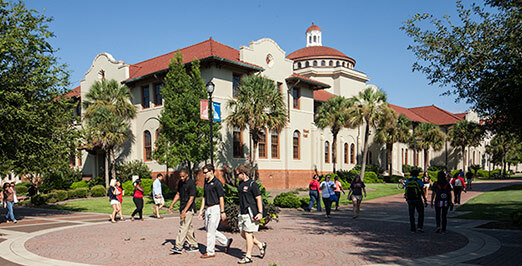 For a listing of these fees, view the Tuition, Fees and Costs section of the VSU catalog. Click here for more information related to Mandatory Fees. Click here for the Bursary Calendar, with fee payment deadlines for each semester. If you have any questions, please email Debra McCrary or call the University Bursary at 229-333-5725 or 1-800-618-1878 (option 6).